First, a little history. I have struggled with acne for as long as I can remember. It was present all through middle school and high school, but it got particularly bad my junior year of college. It was so bad that my parents noticed when I came home and basically made me see a dermatologist, who put me on an antibiotic. It worked for a while, but I stopped taking the pills because they weren't meant to be used long-term. I've tried what feels like every pill, cream, lotion, oil, wash etc. After trying multiple pills and creams with my current dermatologist, he basically told me the next option was Isotretinoin (formerly known as Accutane). I thought about taking it for a long time, and I will spare you my thoughts/opinions about it, but I basically decided I couldn't do it. Only people with acne can truly understand how awful it is. I am a relatively confident person, but there was a time when I couldn't look in the mirror for more than a couple of minutes without getting upset. I have always known that my worth is found in Christ and how I treat people is a lot more important than what I look like. Still, it was hard. There were definitely tears shed and prayers prayed. I only wash my face once a day. This probably sounds a little crazy, but I think this has been a major contributor to my skin being healthier. I was washing my skin too much and stripping it of the oil that keeps it healthy. I now wash my face at night, and I just rinse it in the mornings when I take a shower. If I’ve done a hard workout in the morning I will wash my face in the shower with a gentle wash.
Clarisonic: I purchased this at a discount through a friend and I am so glad that I did. I definitely think it helps get my skin much cleaner than when I use my fingers. However, I started using a Clarisonic about a year ago without changing anything else and I did NOT see an improvement. I just wanted to make it clear that the Clarisonic itself did not clear up my skin, so if you cannot afford it, it should not make that big of a difference. Sulfur Soap: I switched to sulfur bar soap about 6 months ago. It has been strange switching to bar soap after using face wash for so long, but besides the inconvenience when traveling, it has been fine. I have purchased it from Sprouts and Amazon - I don't think it makes much of a difference. Moisturizing Lotion: I think I had been drying out my skin which had caused an influx in oil production on my face. I am currently using NeutrogenaNaturals lotion, but I will probably switch to a mid-weight lotion during the summer. I apply it after washing my face with sulfur soap in the evening AND after I rinse my face in the shower in the morning. Sulfur Spot Treatment: When I get the occasional pimple (occasional pimple – I never thought I’d be able to write that! ), I use the spot treatment in the evening and then just rinse it off in the morning in the shower. Dairy. Oh dairy, how I love you. And how bad you are for my skin. I have had the sneaking suspicion that dairy was making me break out for a while, so I finally decided to cut back. I tried to go cold turkey at first, but it was really hard (I love you cheese, I love you cream, I love you milk). It was a lot easier to cut back thoughtfully. I switched to almond milk in my cereal, coconut creamer in my coffee, I opt out of cheese on my burger, I try to choose non-cream based soups, etc. I definitely still eat things with dairy in them, I just try to avoid it when I can. Coffee. I know it’s obvious by my blog name, but I love coffee. I used to drink a few cups every morning. I started drinking coffee my junior year of college, which is when my skin started to get really bad. You would think I would have made the connection a long time ago, but I think I just tried to ignore it. I have read a few articles about the coffee acne relationship, and even though most people are skeptical about coffee as an acne trigger, I think it was for me. It’s totally a personal thing (my husband drinks coffee like it’s water and I’ve never seen a pimple on his face), but I believe the caffeine was causing an overproduction of oil in my skin. I cut it out completely for a month, and now I drink it just on the weekends. Water. I have always been a big water drinker, but I started drinking more. This is good for your health in so many ways, so I will just leave it at that. Green Tea/Lemon. There are so many things out there that are meant to be good for your skin, including green tea and hot lemon water in the morning. I am not a doctor nor am I a nutritionist, but I bought into the hype. I drank green tea in the morning with the juice of half a lemon for about three months. I have no idea if it really did help, but since my skin has improved significantly, I felt like I needed to include it. Just FYI, warm lemon water is pretty nasty. I still drink green tea most mornings, just without the lemon juice. Whew, that was a lot. It’s really not a complicated process, it just includes things from a lot of different areas. A natural acne solution has always seemed unreachable, but through a little trial and error I have finally found something that works for me. Please let me know if you have any questions - I definitely could have left something out! I so appreciate you posting photos. I feel like so many bloggers retouch photos and make their skin look flawless...which makes me feel so self conscious! I have acne prone skin and took Accutane 10 years ago (in hindsight, wish I hadn't) and have tried all kinds of stuff. I think that simple changes can really do wonders. For example, I noticed the "triggers" of pop and chocolate make me break out, so I try to avoid them (and touching my face-- I am SO bad at that!). I think washing once a day is a good idea and I will definitely give that a try! Will have to look into the sulfur products as well- your skin looks gorgeous so apparently what you are doing works! Great post! I got adult acne after the birth of my son but it became really bad around my 28th birthday. I believe it's definitely from the foods I eat and not drinking enough water. I wash my face every morning and just started applying a face mask every night. Hopefully that will help to keep it clear. Did you notice that I didn't say anything about changing my diet? :-) I can't help it, I love to eat. Isn't it interesting that diet can affect your skin so much. I know I'm very lucky to not have to deal with acne problems, just the occasional pimple. But I have noticed that in the winter, alcohol can really cause me to have major ezcema breakouts on my face. Your story is so eerily similar to my own. I think that certain products will work for some people and not for others. I also found that I was washing/focusing too much attention on my skin, causing it to irritate the acne more, rather than help. I really love your list, it's so true how diet and caffeine can contribute to acne issues. I started drinking only decaf teas for about 4 months and it really improved my skin. I drink coffee still, just not as frequently. After struggling with acne since the age of 12, it's really nice being able to look in the mirror and not see blotchy red bumps and your list is so significant to the improvement of that! I am so happy you found things that are obviously working really well for you! I've had problems with acne for a while. They've never been severe, but enough to be embarrassing. I've tried several options. I think I might have to give the sulfur soap a shot when my cleanser runs out! I am also a big supporter of moisturizer day and night! Thank you for sharing this! So, I always smile when people apologize for "long" posts. I feel like mine are *consistently* as long as this. I think people should read more. The end. Also, HOT LEMON WATER. I drink some every morning now. I love it. Thank you for sharing this! I am lucky enough to have pretty good skin but I do notice a difference in blemishes when I eat cruddy. I truly think all of the processed foods are a huge culprit in many of our country's health problems. i love reading about other people's beauty regimes. i am happy you found what works for you! Love this post! 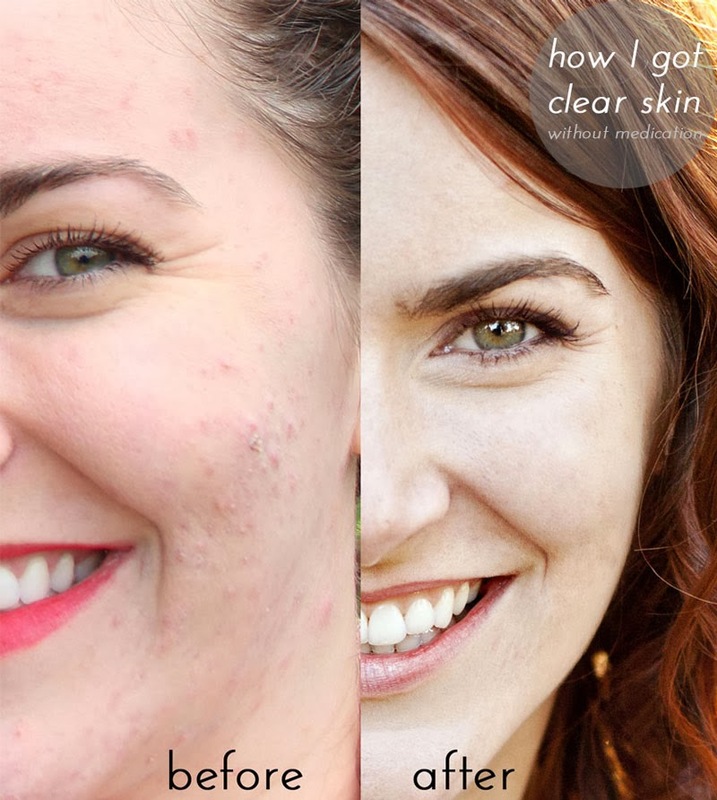 I have acne-prone skin and it's always refreshing when bloggers are honest and real about their skin regimes and such. I just started using a similar bar soap on my face and am loving it-- if the results don't stick around though I'm definitely checking out the one you used. Ashley—these are all such great suggestions! I, too, have struggled for FOREVER, and was going the Accutane route last spring but wasn't able to get it because of my insurance, so then I did some online research and ended up doing paleo for a few months and it worked more wonders than any medicine ever did! Like you said, it is definitely the dairy, and for me I think also gluten and processed foods... and it didn't hurt that while on paleo most of what I ate was fruits and vegetables, either! I've been off the diet for a while and have noticed it coming back a bit, so after all of my spring travels I'm going to have to get more serious, though it's hard to part with dairy, gluten, and coffee, as you said. Just having it on the weekends is a great suggestion—the best of both worlds. I've also switched to just washing my face once a day (at night) and use a combination of olive oil and castor oil with a warm washcloth, and it's made such a difference! It's definitely improved the tone of my skin and is great with prevention, too. However, I will say this—I still am having major problems on my back. Perhaps I'll give the sulfur soap a try? Do you use it on your body, too? Ahhh don't tell me that it was gluten too! I mean, dairy was one thing, but gluten... I just love bread so much! But I totally agree - diet plays a huge role in skin health! The weekend thing really helped me deal with the coffee issue. I just LOVE having a hot cup of coffee in my hands! I tried the oil cleansing method about a year ago and I don't feel like it made a difference. I bet if I had changed my diet at that time too, I bet it would have worked better. I've not had too much of an issue with acne on my body (fortunately!) but you should definitely try the sulfur soap! It's bar soap and would probably be really easy to build a lather on a loofah. Let me know if you give it a shot! So my skin was always relatively clear when I worked at the ranch - looking back, it had to have been the sulfur! Thank you sooooo much for this! I too have battle acne most of my adult life, up until a year ago. I started using Unblemish from Rodan + Fields and it has changed my life. The only time I get a breakout is during 'that time of the month'. I am def going to check out Sulfur Soap. I actually stopped using Clarisonic because it was too harsh on my face. Having acne is the worst and 100% feel where you are/were coming from. I hope this post helps other women as I also chose not to take Accutane...that is scary stuff!! What a great post love! What we eat is so important! Thank you so much for this! I can totally relate with you on suffering through acne and how it affects your self esteem. My worst years were 16-18 years old and I tried (almost) everything from the pill to creams and yes, Accutane too (I can't give up cheese and milk and yogurt though!). I was only on that drug for 3 months and it was a miracle worker for my face and back. I'm convinced it stayed in effect for a long time even after I stopped taking it, but by 21 I'd definitely gone from pimples to acne yet again. It's so frustrating as an adult to still struggle with bad skin but that's great that you've found a combination that works for you. I'm always interested in reading about others' beauty regiments and learning something new -- like sulfur soap. Thanks for sharing (and don't apologize for long posts)! Ugh, skin care is so frustrating! I had terrible acne in high school and college, but it finally cleared up. My face is just always sort of red and splotchy. I actually went to a dermatologist a couple months ago and she put me on prescription wash and lotion, but it doesn't seem to be helping at all. I think I'll just use it until it runs out and then give up. Thanks for sharing what works for you! I always hate when diet comes into play, because I don't want to change my eating habits!! I always love reading how people take care of their skin. I have finally came around to the truth that diet plays a HUGE part in the condition of one's skin. I currently only wash my face once a day, like you. I have found that my skin does better with its natural oils as well. I love coconut oil for makeup removal, and also moisturizing. Thankfully, I have not found my one cup of coffee to affect the state of my face, but I definitely notice a difference in my skin when I have eaten a little more sugar than usual. I was on accutane in high-school and again in college, but I had really bad acne, like I would have been content with the skin in your first picture, it was so bad! I had tried everything before I went to that though, but it did clear up my skin. I wouldn't get on it now though, but thankfully my skin is behaving myself for the most part. I have super sensitive skin though, but I found using Cerave face wash and Cetaphil moisturizer works really well. Good to know about the clarisonic, I've been debating on buying one, I just don't know if I want to spend the money. When I re-read my comment I realized I used the word 'though' three times. It's annoying me! Wow, kudos for posting that photo, but it really makes the rest of the post so much more intriguing to read. I can't even imagine how good you must feel to see this significant of a difference, especially with such small changes. I also only wash my face once a day, and found that switching to a more natural soap really made a difference in my complexion. It's funny, I'm not normally one to preach the natural route, but in this case, I've never found anything better. I can totally relate to your acne problems. While I've gotten decent results with over the counter creams and washes, when I switched to washing my face less and with a really mild cleanser (say yes to cucumbers milk cleanser), using an oil free moisturizer (no more dry skin patches! ), and making an effort to drink a ton more water, I've noticed the best results. Ashley, I am 28 and I still get some painful pimples around my chin area. Switching to soap free cleansers has made a ton of difference. Also exfoliation has become a must in my routine, I use glycolic acid treatments for that. I have been debating a clarisonic purchase ever since they came out. I might just bite the bullet and invest! Your skin looks beautiful now! I am also guilty as charged when it comes to coffee, and also dairy which are awful for my skin and pretty much every other part of my body! I couldn't agree more that you should only wash your face ONCE a day. I only wash mine once a day so as not to strip the moisture and in a very delicate way. I don't shower every day, but once every two days, so I can avoid dry skin and dry hair. Instead I freshen up in the morning so I'm clean without going through a full shower. It is interesting that the same things society tells us are good for us are what is actually causing our skin to be too dry (thus producing acne) because dry skin can over produce oil. Great post. I just started my quest to clean my adult acne (I'll be 34 next week and I can't take it anymore!) with natural and organic food products. I'm so glad your method is working for you. Go girl! Your skin looks great! I really like your disclaimer. As someone who still has bad skin into her 20s, it annoys me when people think they've found the holy grail to clear skin. Also, thanks for including your before photo. I don't consider one pimple here and there to be a huge breakout, so I'm glad to see how great your skin is now. Love your post. Really! I use seaweed face wash- that gave me my clear skin- its amazing how to find the balance to keep good and healthy skin. I really am so glad I found your blog. The reasons just keep adding up. I suffered because of acne for such a long time, and I mean suffered. It HURT. 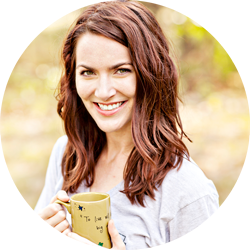 It was actually when I started taking supplements, changing how I eat (cutting way back on sugar, and gluten was a HUGE trigger for me because my digestive tract can't handle it), and using the Clarisonic. My Uncle had really terrible acne and found that when the chiropractor started massaging his sinuses, his acne cleared up. I've been getting treatment for severe sinus problems, and my skin is getting even better. I love your blog. A lot. Ashley, you needn't apologize for such an informative post! I've had bouts of acne and it can be quite disturbing! So making some small changes to one's lifestyle always helps! I have never tried that kind of soap, but for me, I think switching from anything that was over-harsh and over-drying to making sure my skin was moisturized really made a big difference. Plus avoiding wearing makeup except on special occasions. I used to think that I shouldn't use moisturizer because of acne and oily skin but now that I do, it's helped so much! Wow, giving up coffee is dedication! Part of me wonders if I should consider that...especially because your skin really looks amazing! Great, brave, important post! Thanks for sharing. I am definitely going to try some of these ideas! Acne is seriously the worst and so tiring to deal with with no results. So glad these things worked for you! Wow- this is a very brave post and very detailed and honest about how and what worked for you. Amazing post--I'm going to try the sulfur. I'm also in my late twenties and have been experiencing skin issues on and off. I've changed my routines repeatedly, changed up my diet, been on vitamin supplements, antibiotics and other medications...I'm almost at the end of my rope and may take the accutane route, but will try yours first. I hate to go to accutane! Glad I found this! I have had bad adult acne after not having much if a problem growing up. I'm currently working in a beauty treatment plan I'm starting for my wedding this summer. Def might throw some of these in the mix!